Physical development is recorded from day one. 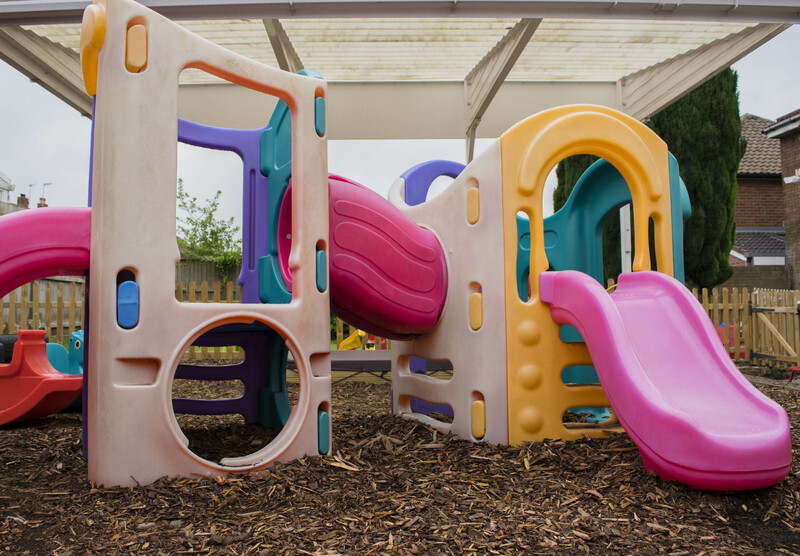 Both gross and fine motor skills are constantly improved by providing the right play equipment. We encourage children to try new skills whether it’s climbing up and down the climbing frame, pedalling a trike or threading beads! We do of course have the advantage of a large garden where you can’t help but develop new skills on a sunny day. The garden is divided into three areas, a soft bark area for climbing frames, a grassed area for ball games, skittles etc and a patio paved area for bikes and trikes. There is also a ‘secret garden’ for imaginative play and areas for planting and digging. We also have a small sensory area available for all age ranges to explore.There are also multiple numeracy and literacy activities outdoors, incorporating learning through play. We offer outdoor play in all weather conditions (within reason) and provide waterproof clothing for the older children. We do ask parents to provide their children with clothing appropriate for the weather, especially Wellington boots, sun hats, gloves etc. These must also be labelled with your child’s name, to reduce the risk of lost items. The older children also have the opportunity to choose activities to play in the garden throughout the whole of the day.